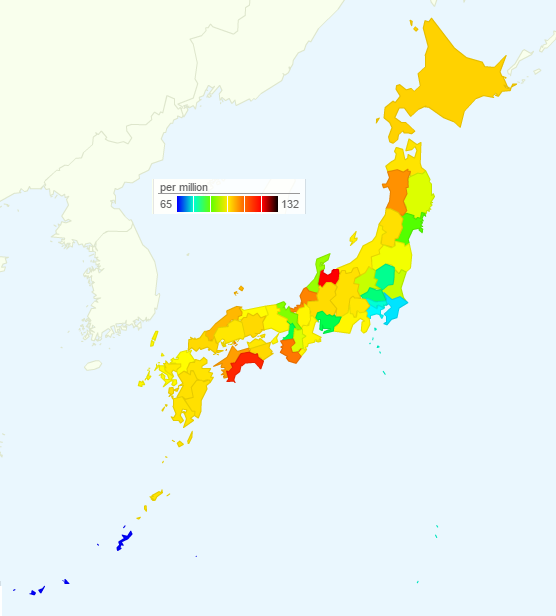 Rate of Deaths from Malignant Lymphoma by Prefecture in Japan, 2015 - How much is it in Tokyo? In Japan, 11829 persons died by malignant lymphoma in 2015. The following data show the rate of deaths from malignant lymphoma by prefecture (The number of deaths by malignant lymphoma per million).